K & Company papers, large butterfly also K & Co.
Small butterflies Martha Stewart Royal Butterfly punch. 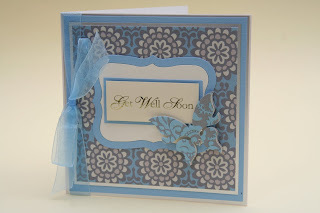 Label die is by Sizzix. 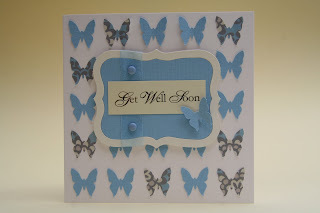 "Get Well Soon" sentiments from Clever Cut.